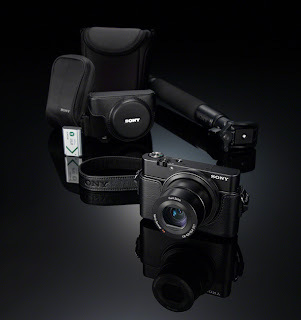 Given that Sony produces some excellent sensors and great compact cameras, it's a bit surprising that the company's waited so long to unveil an advanced compact -- at this point, the only company that doesn't have one is Pentax (unless you count it as Ricoh). 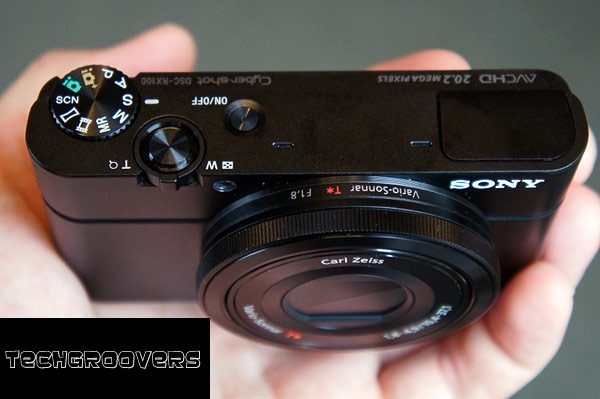 So Sony's jumping into the market late, but bound to make a splash, with its new Cyber-shot DSC-RX100. It seems like a very well-designed camera that I'm looking forward to testing. 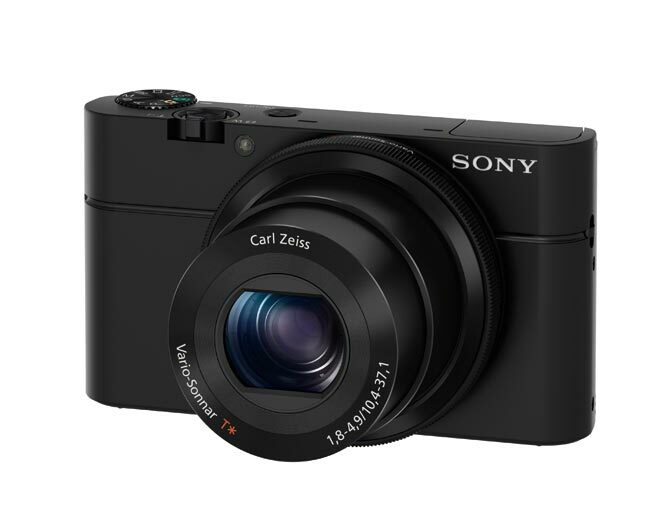 However, despite sounding great on its face the way Sony bills it -- 1-inch sensor! 20 megapixels! F1.8 lens! 1.22-megapixel LCD! 10fps burst! -- there are quite a few caveats that should temper your excitement. For what it's worth, Sony claims that this camera will deliver the highest-quality photos ever for the Cyber-shot line. But while the the sensor is largish, it's also crammed with a lot more pixels than all of its competitors. So, for example, while has 55 percent less area than the G1 X it also has about 56 percent more pixels. It's the same sensor size as Nikon's interchangeable-lens CX mount, which some people consider too small for its class despite a lower resolution, and the Nikon 1 J1 costs the same as the RX100. While Sony does have a good track record with its high-resolution sensors, I'm taking a wait-and-see attitude about this. As for the lens, it certainly looks like one of Sony's higher quality lenses; my experience with the Zeiss T*-coated lenses from the company's higher-end camcorders is that they're significantly better than the cheaper ones. But while the maximum aperture starts at f1.8, it reaches f4.9 by the time you reach the not-terribly-long maximum focal length of 100mm. (It may also matter to some people that its minimum aperture only goes to f11, though that's not uncommon.) Sony claims that it doesn't stop down immediately with the first zoom step -- one of the biggest problems with the G1 X -- but that's still pretty narrow and starts to make you wonder: which is more important, sensor size or lens quality, and at what point do you reach the trade-off? Then there's the LCD. It's a relatively large, high-resolution display. But it's not 1.23 megapixels as you'll probably see stated in many places. To be fair, Sony doesn't lie about this: the company clearly states that it's a VGA-resolution LCD with a third set of white pixels for added brightness in bright sunlight. That's definitely a plus in my book. And while the camera can shoot 10fps, that's in a mode which fixes exposure after the first frame; more traditional continuous shooting runs at a more sedate 2.5fps. All that said, I really do like the design of the camera. It's an all-aluminum body about the same size as the S100, and incorporates a similar control ring on the lens for context-sensitive adjustments to commonly used settings. It's got a tiltable flash like that on the Panasonic Lumix DMC-GF5 and others, which makes it very easily to get better flash results. That's very important, because the camera lacks a hot shoe. The interface looks a lot more like the Alpha SLT UI than any of the point-and-shoots, which makes sense given that Sony's targeting dSLR users looking for a compact second camera -- there's a bit of display consistency. Ultimately, I think the biggest question for the RX100 will be "is it worth $650?" Sony sees it as a second camera for dSLR shooters, but that's more than what most people pay for their only camera, not their supplemental camera. It lacks a viewfinder, hot shoe, and articulated LCD, which is what probably drives many photographers into the arms of Canon's similarly pricey G series. 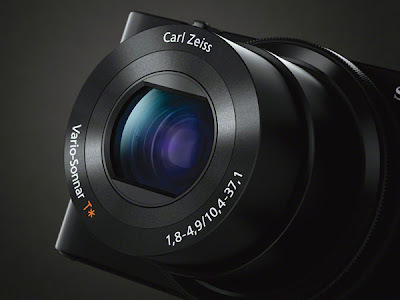 I think it will have to deliver seriously stellar photo quality, especially in low light, to compel people to pay $150 to $250 more than compact competitors like the Canon S models, XZ-1, LX5, and so on, several of which have faster lenses. The RX100 isn't slated to ship until July. In the interim, you can see what the competition has to offer.